Philadelphia cheesesteaks are more than just a food — they’re a lifestyle. 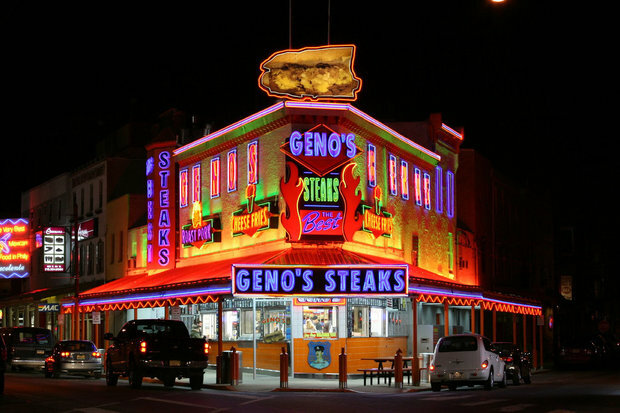 And Geno’s Steaks is capitalizing on that. The famous South Philadelphia cheesesteak joint has opened up an online store, it announced on Twitter on Feb. 16. Genosgear.com will let fans pick up sweatshirts, keychains, mugs and bumper stickers slathered in the company’s logo like it slathers its sandwiches with whiz. Alas, you can’t buy a cheesesteak from the site. But you can get a stylish black tote bag to hold the cheesesteaks that you go and buy in person at Geno’s location at 1219 S. 9th St. in Philadelphia.